Product SKU: 143259 ID: db1042dvc_a37110cpv. Fits 2004-08 Ford F-150 Single Loaded Subwoofer Enclosure Box Polk DB 1042 DVC. Under-Seat Loaded Subwoofer Enclosure for 04-08 F-150 Extended & Super Crew Cab Trucks. 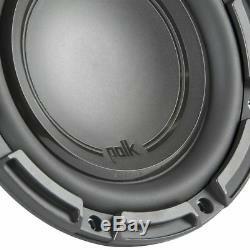 Polk Audio DB 1042 DVC. 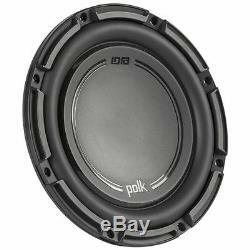 1050W Peak (350W RMS) 10 Series Dual 4-Ohm Car Subwoofer Quantity: 1. 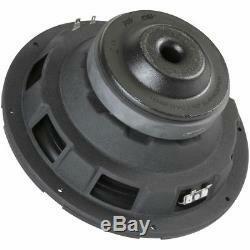 10 4-ohm Dual Voice Coil DB+ Series Subwoofer. Great to use in cars, ATVs or marine applications. Santoprene Rubber Surround for extra water protection. IP56 Ultra-Marine Rated, dirt and water resistant. Tested for salt-fog, UV and humidity. Frequency Response: 28 - 200Hz. Single 10 Vented Subwoofer Enclosure for 04-08 Ford F150 Extended Cab & Super Crew Cab Trucks Quantity: 1. Single 10 Vented Subwoofer Enclosure. Designed specifically for 04-08 Ford F150 Extended Cab & Super Crew Cab Trucks. 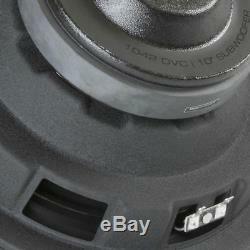 Subwoofer mounting depth: 5.375. Box volume: 0.95 cubic feet (per chamber). Compatible Vehicle Make and Model. Policies for US and Canadian Customers. Return to top of policies. Unit B, Sylmar, CA 91342 USA. Prices, specifications, and images are subject to change without notice. 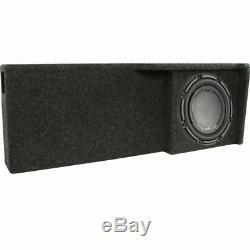 The item "Fits 2004-08 Ford F-150 Single Loaded Subwoofer Enclosure Box Polk DB 1042 DVC" is in sale since Tuesday, October 3, 2017.